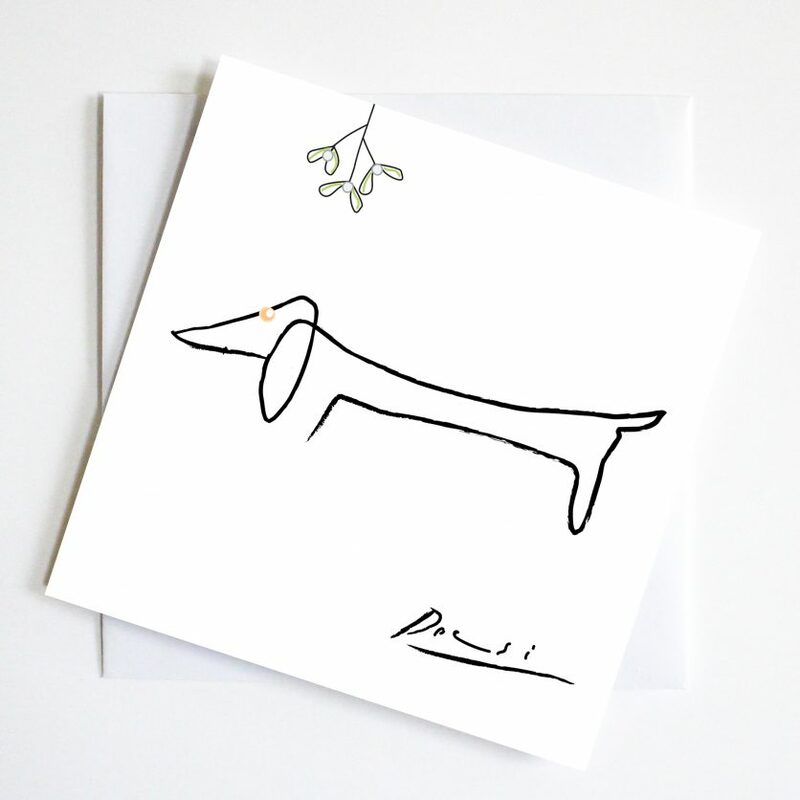 Pablo Christmas card pays gentle homage to Picasso’s iconic line drawing of his dachshund Lump. 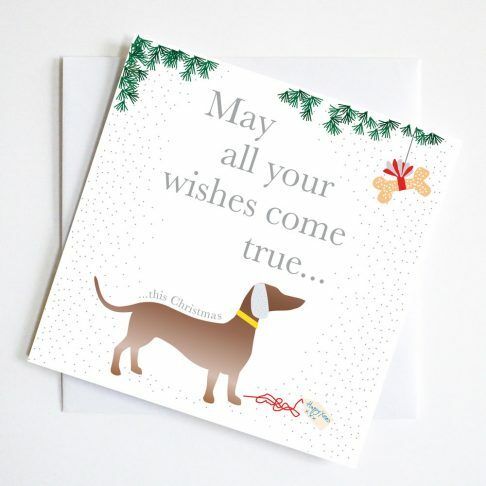 With a little mistletoe hanging above his head we have the ideal Christmas greeting for all arty dachshund lovers. A little touch of gold makes a festive winking eye. 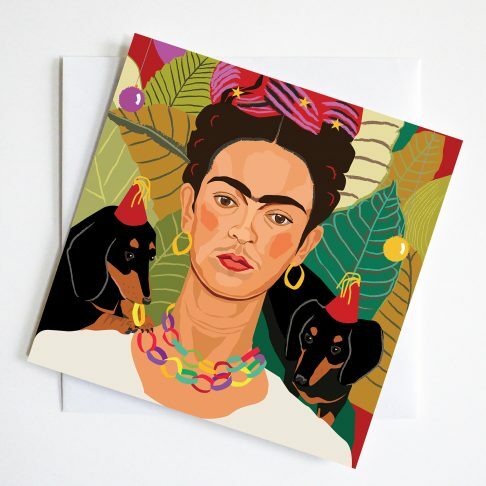 A perfect mix of Art and parody to send greetings to dachshund lovers everywhere. 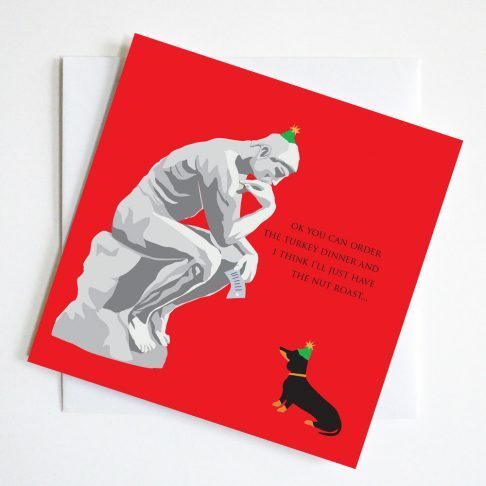 Pablo Christmas greetings card pays gentle homage to Picasso’s iconic line drawing of his dachshund Lump. By adding a little mistletoe hanging above his head it becomes a humorous Christmas greeting for all arty dachshund lovers. A touch of gold gives a festive winking eye. 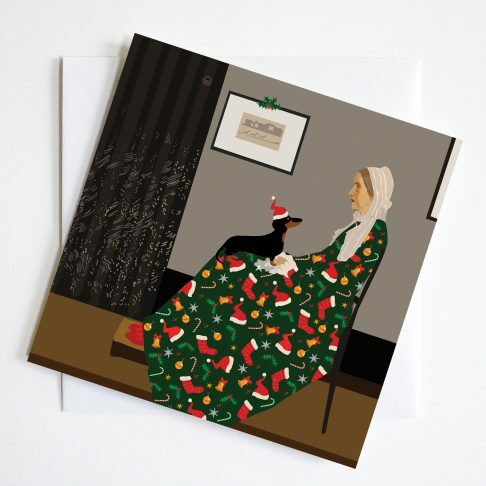 This well loved image has become a cheeky Christmas Greeting to dachshund lovers everywhere.